536 people in our community are currently praying with you. Our Saturday Oldie comes from the phenomenal Sister Rosetta Tharpe, who ain’t gonna’ study war no more. Note: Lyrics vary somewhat from artist to artist. Ain't gonna study war no more. Gonna study war no more. Dear Lord, I thank you for this day. I thank you that I can see or hear your Word this morning. Let me give thanks all day for what I have, especially your eternal love, and forgive me this day when I go astray, by my thoughts or actions; my only aim is to please you, to know and do your will. Guide my every step. Help me to live this day with wisdom and discretion so that I may not fall short of your glory. Protect me from danger, both in the world and in my attitude. Give me the gift of a clear mind, that I might hear the quiet voice of your Spirit. Help to massage away resentments and blame for things gone by, that would eat my energy and poison my mind; but instead, help me to look to the moment, to what I can do, to work for the future. And let me never become frustrated where I lack control of events, for you are in charge, not me; and I put my entire faith in your power, your knowledge, your plan for humanity. Blessed are you, loving Father, for all your gifts to me and those close to me. Blessed are you for giving me family and friends to be with me in times of joy and sorrow, to help me in days of need, and to rejoice with me in moments of celebration. Father, I praise you for your son Jesus, who knew the happiness of family and friends, and in the love of your Holy Spirit. Blessed are you for ever and ever. What Old Testament verse warns us not to add to God’s Word? I dwell in the high and holy place, with those who have a contrite and humble spirit, to revive the spirit of the humble, and to revive the heart of the contrite ones. 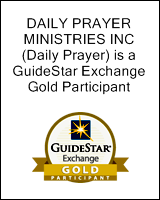 Saul selected 3,000 special troops from the army of Israel and sent the rest of the men home. He took 2,000 of the chosen men with him to Micmash and the hill country of Bethel. The other 1,000 went with Saul’s son Jonathan to Gibeah in the land of Benjamin. Soon after this, Jonathan attacked and defeated the garrison of Philistines at Geba. The news spread quickly among the Philistines. So Saul blew the ram’s horn throughout the land, saying, “Hebrews, hear this! Rise up in revolt!” All Israel heard the news that Saul had destroyed the Philistine garrison at Geba and that the Philistines now hated the Israelites more than ever. So the entire Israelite army was summoned to join Saul at Gilgal. The Philistines mustered a mighty army of 3,000 chariots, 6,000 charioteers, and as many warriors as the grains of sand on the seashore! They camped at Micmash east of Beth-aven. The men of Israel saw what a tight spot they were in; and because they were hard pressed by the enemy, they tried to hide in caves, thickets, rocks, holes, and cisterns. Some of them crossed the Jordan River and escaped into the land of Gad and Gilead. aul, having a huge gathering for his investiture as the new king, doesn’t waste the opportunity. He is spoiling for a fight. He makes 3,000 of the Israelites into an army and immediately attacks a Philistine outpost. Even though he was 30 years old by this time, he is still wet behind the ears; he doesn’t seem to have any plan at all; he just put together a small army and went out looking for Philistines to attack. The outcome looks bad. The Philistines’ response is to declare war on Israel, and they assemble a huge army; they have as many chariots as Saul has foot soldiers. 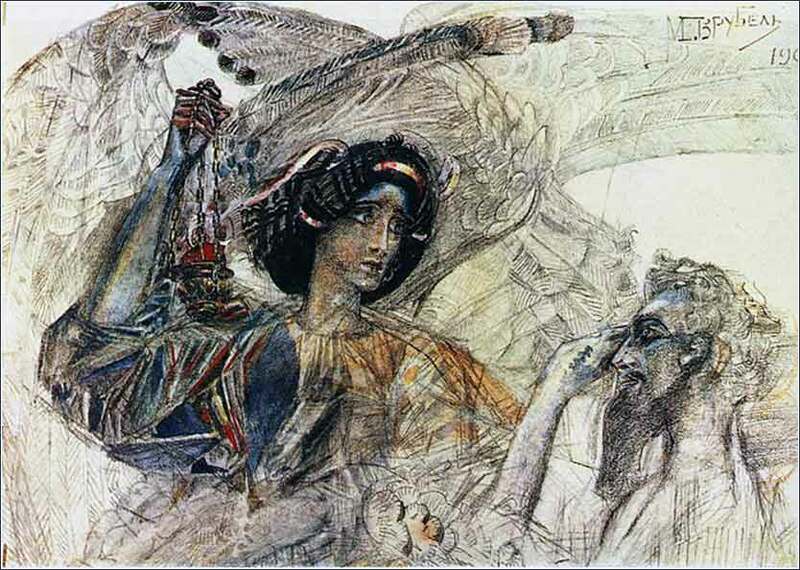 Saul’s little band is so intimidated that they hide in caves or flee east across the Jordan River into Gilead, so that the Philistine army won’t find them. The consequences of Saul’s rash difficulties are just beginning; things are about to get even worse. 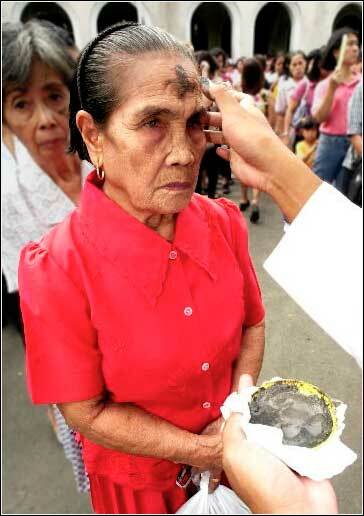 Ash Wednesday in the Philippines.